We met this cute and funky Japanese girl in Harajuku and knew we had to get some pictures of her. Sensan is a 16-year-old student who has combined Uniqlo clothing and vintage items to create a truly unique style statement. Her yellow windbreaker jacket sets off her polka dot and striped drop crotch (sarueru) pants. She’s wearing Crocs – a brand we don’t see too often on Tokyo hipsters – and her blue print Life Spirit backpack is from a Harajuku resale store. 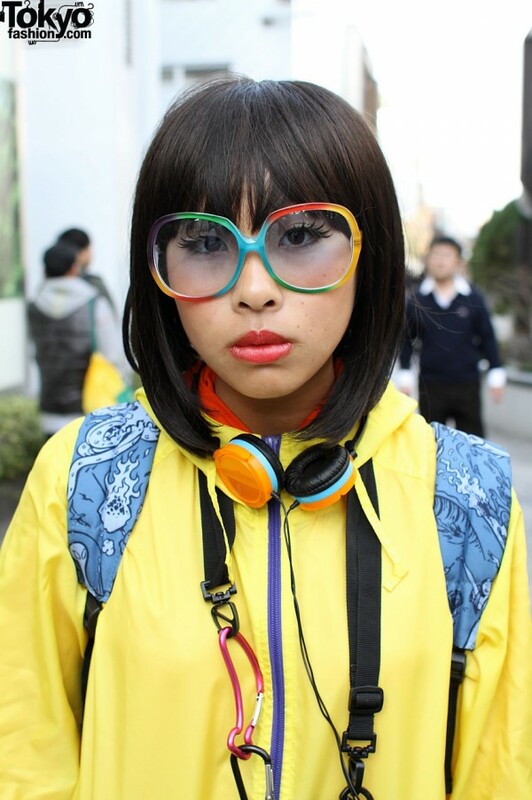 Retro rainbow glasses, long eyelashes and a cute hairstyle are the finishing touches on her outfit. Sensan is wearing earphones and a music player so she can listen to Asian Kung-Fu Generation and Aqua Timez. 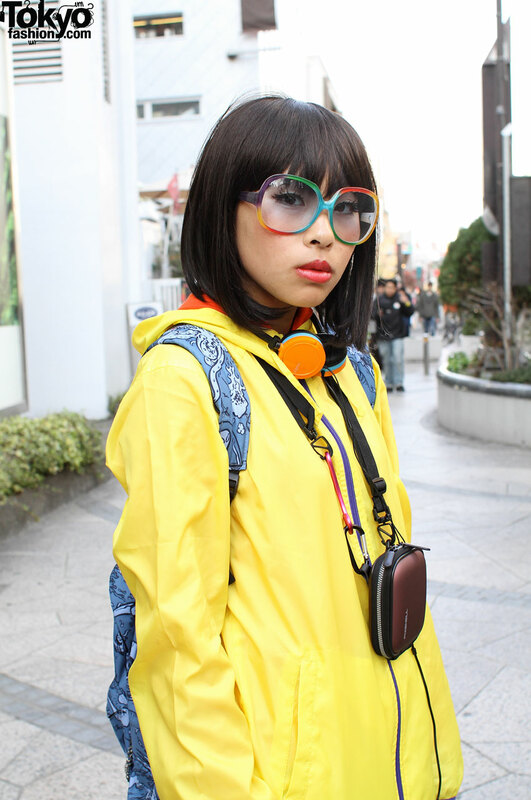 I love the glasses and the blue backpack against the yellow mac. But I love her headphones! 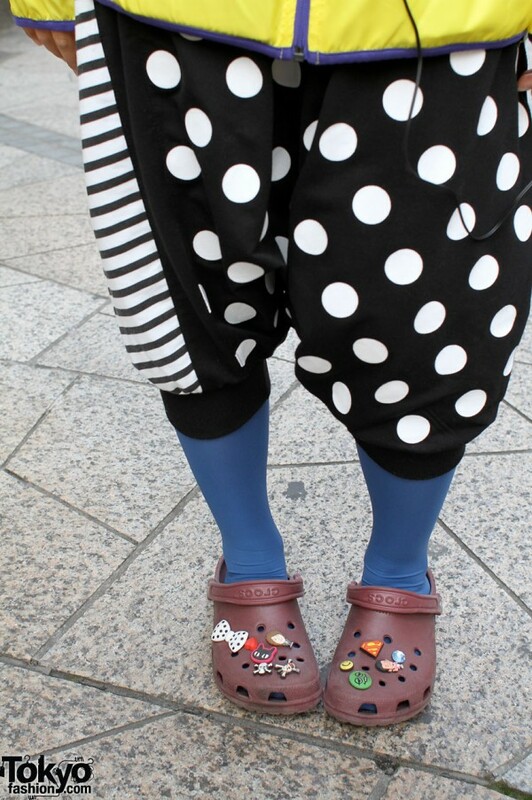 Crocs are the shoes of the devil. I think they are “cLocs” hahaha Nice knock-offs!